For the third day, I selected Afghanistan, a country that was cooked most in our previous Mega BM. Even then I had bookmarked quite a few to be tried out and since it was going to be a breakfast, I naturally looked at my friends who dished out breakfast combos. I remembered Priya Srinivasan‘s Afghani Bolani Kadou and decided start from there. Since she was also looking for vegetarian options, I decided it will suit me best. Since most of the flatbreads seem to have been made with all purpose flour. Bolani is flat-bread from Afghanistan, baked or fried with a vegetable filling. It has a thin crust and can be stuffed with a variety of ingredients, such as potatoes, spinach, lentils, pumpkin, or leeks. It can be served with plain yogurt or mint yogurt. Since I was making it for the elders at home, I decided to opt for pumpkin and used both all purpose flour and wheat flour. Also I ended up making the stuffing quite spicy. I adapted mine from here. I had initially this week to be on A-Z, with this post coming up first. However with one post still not cooked, my plans went for a toss! Anyway enjoy these stuffed flatbreads while I get the pending ones done! Take flour, salt in a large bowl and mix together. 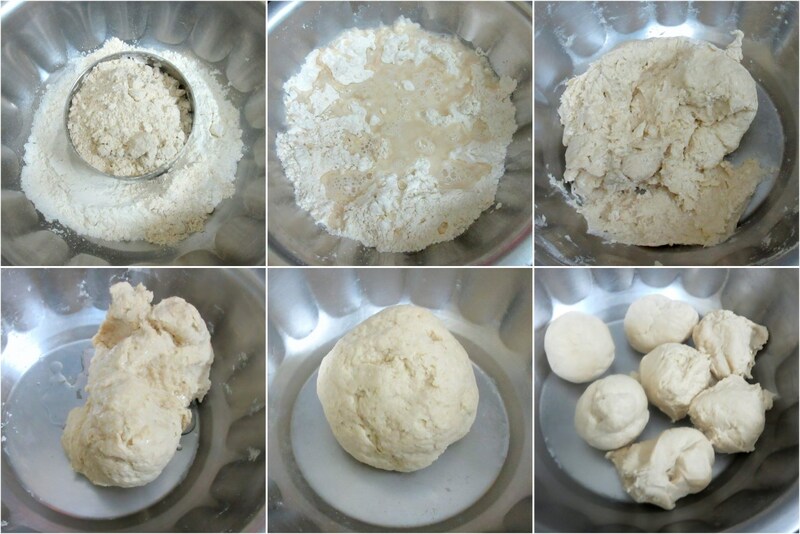 Add water to the flour and slowly start kneading to make the dough. Add oil finally to get a smooth and soft dough. Keep it covered until use. 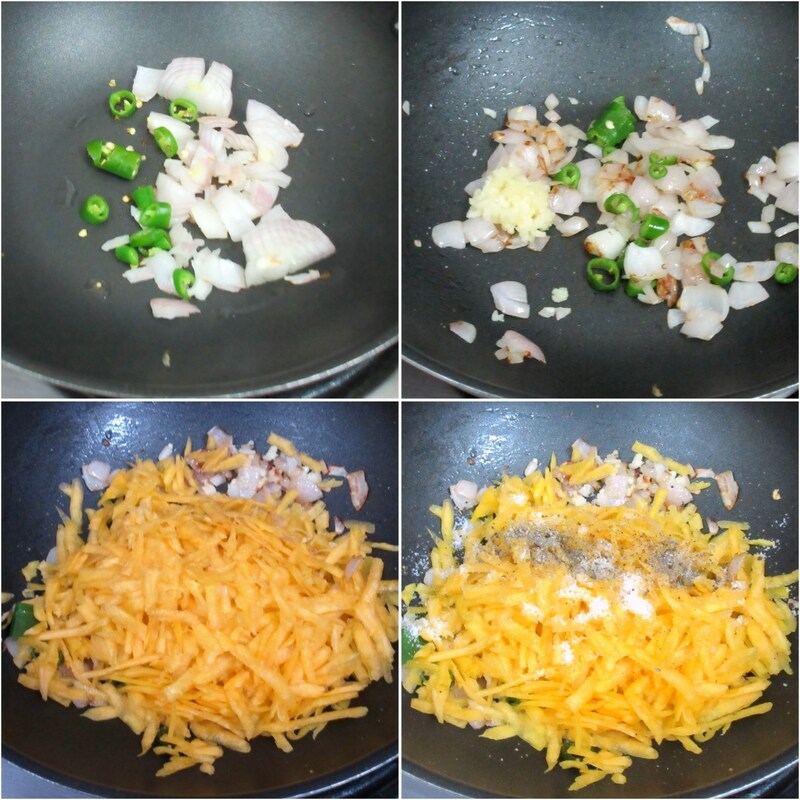 Heat a pan with oil, saute chopped onions, green chilies, saute till onions turn colour. Next add the grated pumpkin, along with salt, red chili powder, cumin powder. Saute well. Sprinkle some water for the pumpkin to get cooked. Simmer and cook it with a lid covered for 5 – 7 mins. Add coriander leaves and keep it until use. Dust the rolling board, using rolling pin, roll out the dough round and thin. 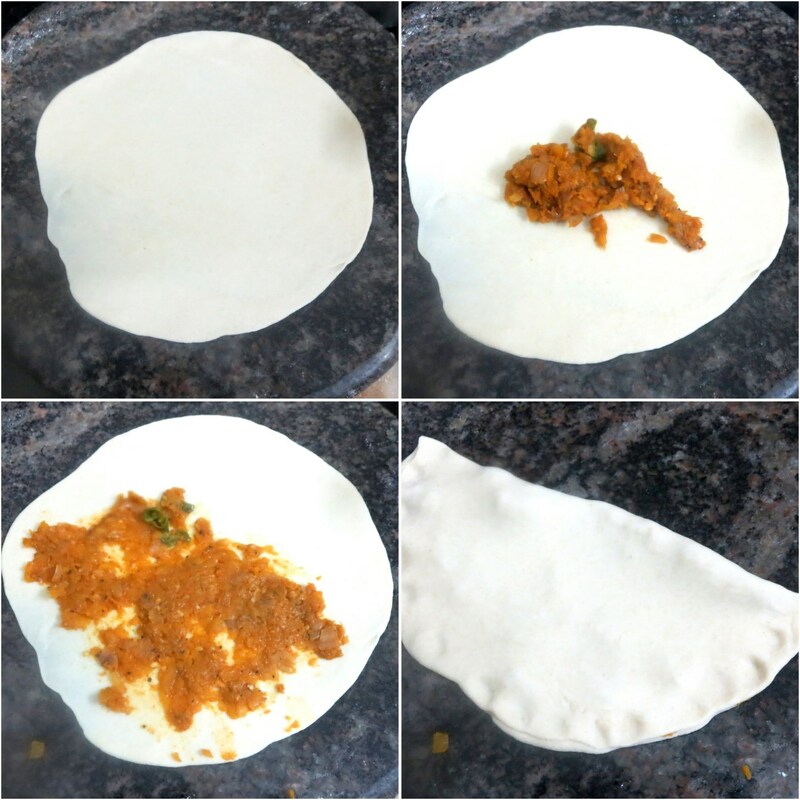 Place 1-2 tbsp of stuffing on to one half of the rolled roti and fold over the other half on it. Press it lightly and seal the edge. Use a fork to make crimp design on the edges. Heat a pan with 1/4 cup of oil, when it is hot enough, gently slide down the bolani slowly and pan fry on both the sides until done. Serve it warm along with Yogurt-mint dip. Just before serving, mix together all the ingredients together to make a smooth dip. 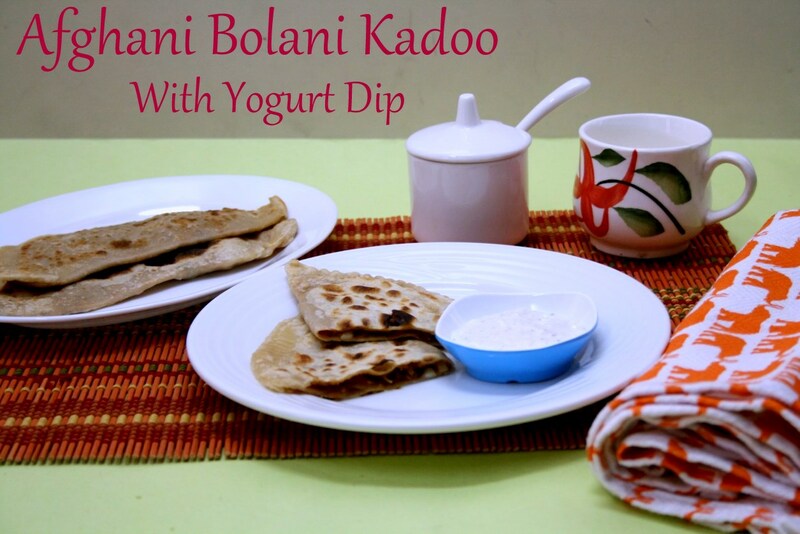 Serve it along with Bolani! Nice choice valli. Makes a complete meal with that dip. Thanks for the mention. I made this for another event and we loved it. I made it for dinner and used potato filling. It makes a great breakfast. 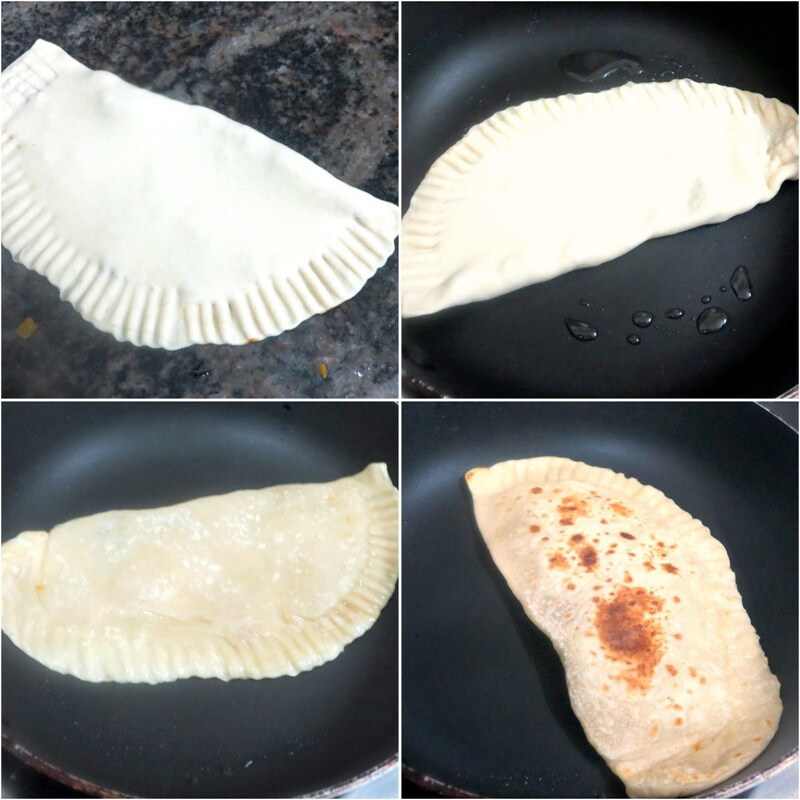 Though the preparation is different, it wa slot similar to aloo roti. Even pumpkin mush have made a nice filling for bolani. 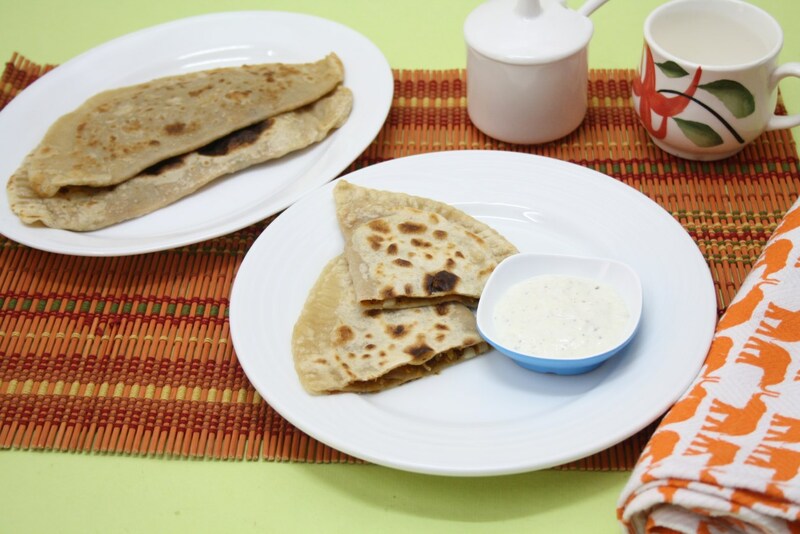 Seems something like our Parathas..rather a combo of Paratha and calzone..interesting one. 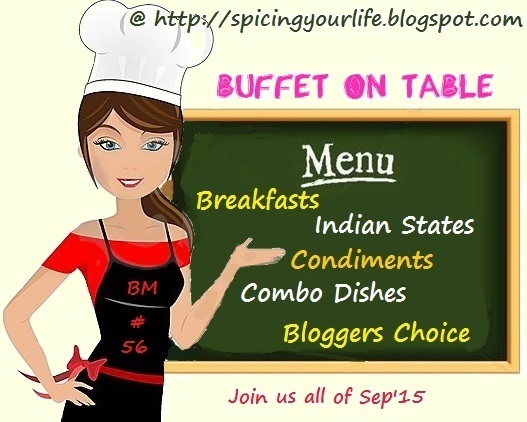 Now I am keen on checking out their complete breakfast spread. Bolani is my favourite and that dip sounds like an interesting accompaniment to enjoy with this Afghani bread.Pumpkin mash sounds good for stuffing. Kadoo bolani looks delicious and filling.Love to taste it now. Pumpkin is my favorite veggie,Sounds interesting to use this as filling.Bookmarked. 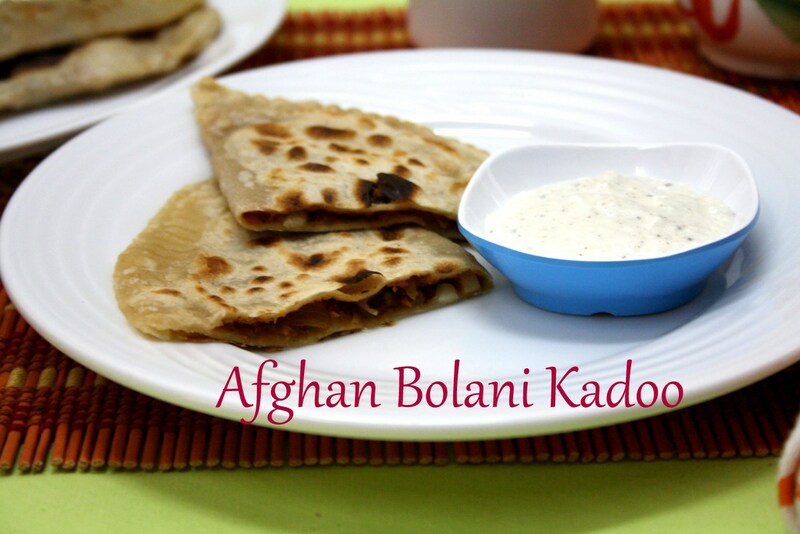 These Afghani bolanis are such a treat to make and eat. You are reminding me to make these again some time. I had made the potato version earlier and loved it and has been rotating the recipe with different stuffings. This pumpkin filling sounds delicious. I have made this potato filling, this too looks delicious, must try it.